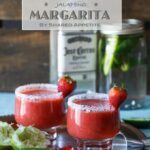 This post for Roasted Strawberry Jalapeno Margarita is sponsored by Schick Hydro® and Social Stars. As always, all opinions and recipe are my own. Thanks for supporting the brands that support Shared Appetite! 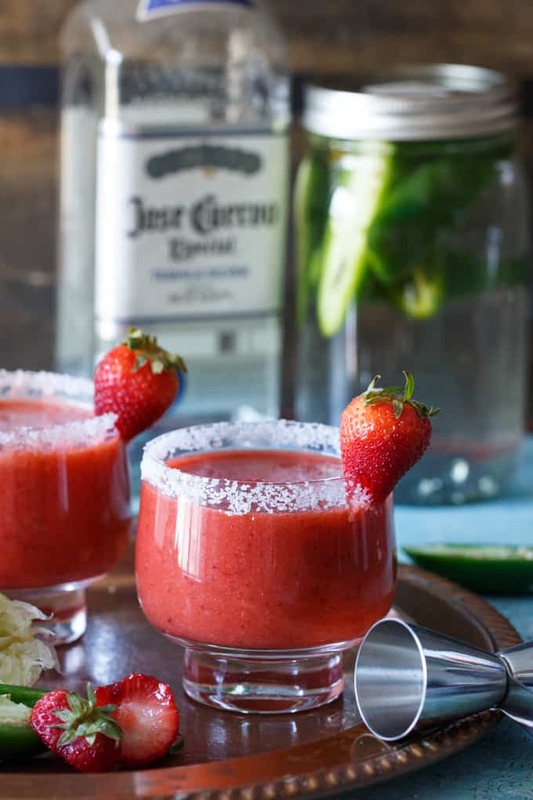 When you want to bring the heat and the sweet to your next party… Roasted Strawberry Jalapeno Margaritas for the win! I wish I could say that I was a beer person. That would be an easy solution to quench that summertime thirst. Sadly, can’t stand the stuff. I know. Major bummer, right? But here it is… and I’m secure enough to say it. I’m all about the fruity summer drinks. Especially margaritas. Any flavor. Any kind. Any time. Bring ’em on. 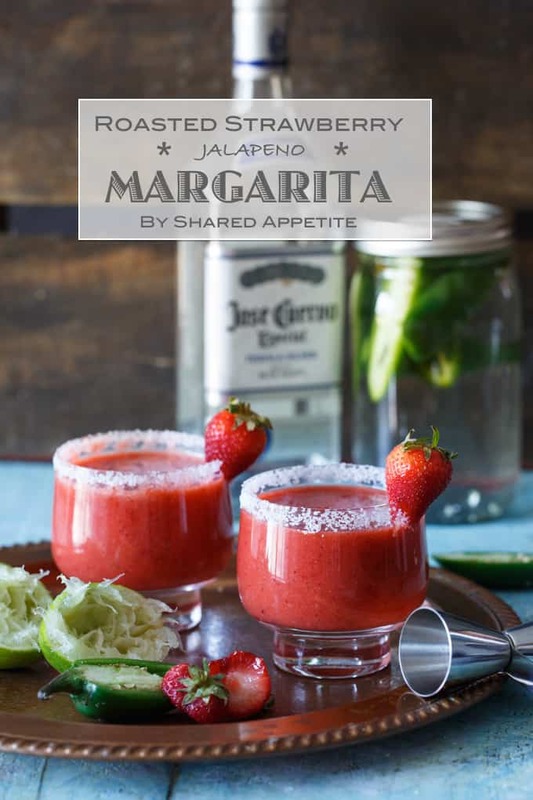 When you want to a get a little fancy and elevate your margarita game this summer, try serving your guests a Roasted Strawberry Jalapeno Margarita. A little sweet. A little heat. A whole lot of flavor. Roasting the strawberries brings flavor to a whole new level of caramelized goodness. And the jalapeno infused tequila? It’ll put hair on your hair. Seriously. It’s powerful stuff. I only let the jalapenos hang out in their tequila bath for about thirty minutes, and it carried a legit punch of heat. Add more infusion time at your own risk. Speaking of putting hair on your hair, check out this pretty funny video about the retirement of an epic beard with the Schick Hydro®. This guy reminds me of some of my friends from church. A couple years back they all grew some epic beards and carried them around like a badge of honor. I’ve never partaken in the growth of a full on beard. I prefer my signature short goatee (so do the ladies… right Asheley 😉 ), which I can keep pretty sweet-looking with the Schick Hydro® 5 Groomer. Preheat oven to 375F. Place strawberries on an aluminum foil lined baking sheet in a single layer and sprinkle with sugar. Roast for 25 to 30 minutes, until the strawberries are soft and bubbling. Let cool and then scrape strawberries and juice into blender. Meanwhile, cut a jalapeno in half lengthwise and add to tequila. Let sit, undisturbed, for 30 minutes. Taste for spice level, and continue to steep with jalapenos until desired level of heat is reached. Pour tequila through a fine mesh sieve and discard jalapenos. 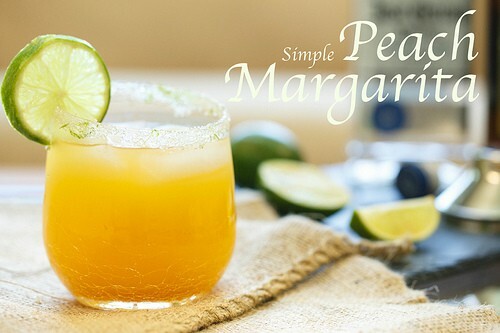 Add jalapeno infused tequila, orange liqueur, lime juice, and agave syrup to blender and mix until well incorporated. Add ice, 1 cup at a time, until margaritas reach desired frozen consistency. To coat the rim of your glasses with sugar or Kosher salt (or half and half if you want to go all out crazy and do that sweet and salty combo thang), simple run a wedge of lime around the rim of the glass, and then dip in sugar/salt to your heart’s content. This is my drink fantasy come true! Mr. Allie and I have been all about the fruity/spicy cocktails lately. This one sounds fantastic! Love that you roasted the strawberries! Oh my goodness! What a combo. Looks fine and fab! Oooo I love the sweet and spicy you have going on here! 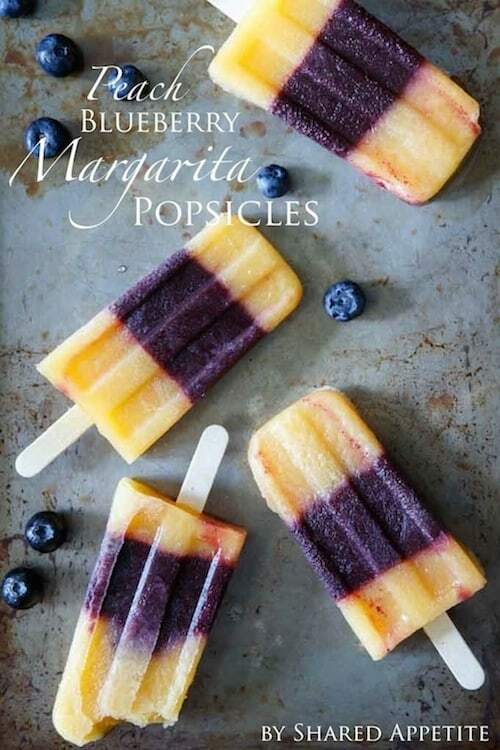 That’s my favorite kind of margarita! I can’t do beer … just not my thing … but this, I’ll take one please! Hope you had a great holiday weekend Chris! And thanks for linking to my recipe! Chris – I love these! I’ve been wanting to make a spicy margarity forever now, but never can seem to remember. These looks so great, and I love the addition of the roasted strawberries. Yum! I love a good margarita.. and the addition of roasted strawberries sounds fabulous Chris. I’m definitely not a clean shave guy though!